Mother's Day is just around the corner, and Moms love nothing quite so much as handmade gifts, even from their adult children. Of course, store-bought goodies are nice too, so why not bless Mom with both by crafting a lovely basket for her -- a gift in and of itself -- then filling it with the store-bought treats she loves best? This heart-shaped gift basket project from Julia Elizabeth makes that great idea an easy one to create. 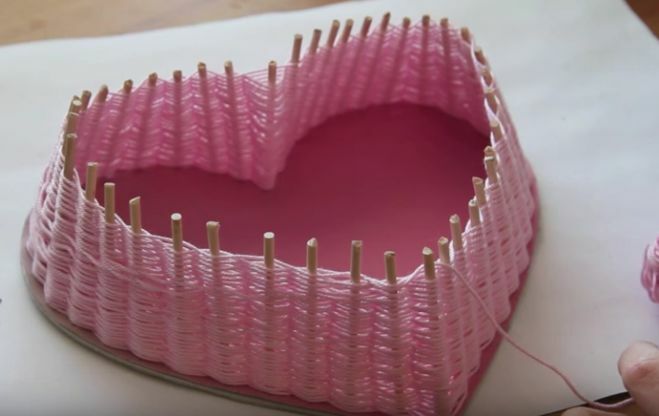 All it requires is paper, cardboard, glue, yarn or string, decorative elements and dowels. 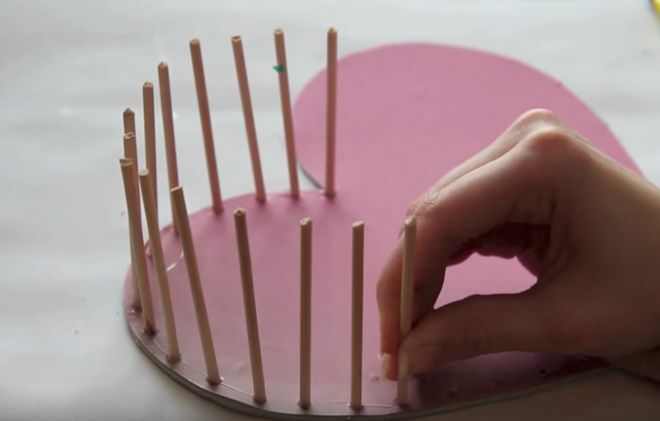 The number of dowels (or "bloomsticks," as the Scandinavian crafter calls them) will vary according to the size of your heart basket, but she emphasizes that you will need an odd number of them, regardless of size. 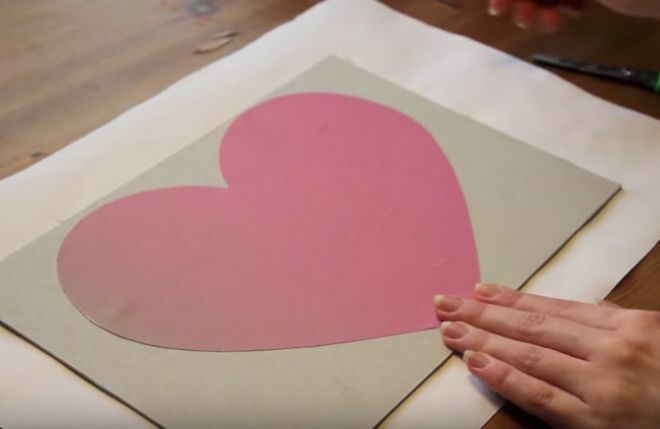 The first step is to cut out a large heart shape. 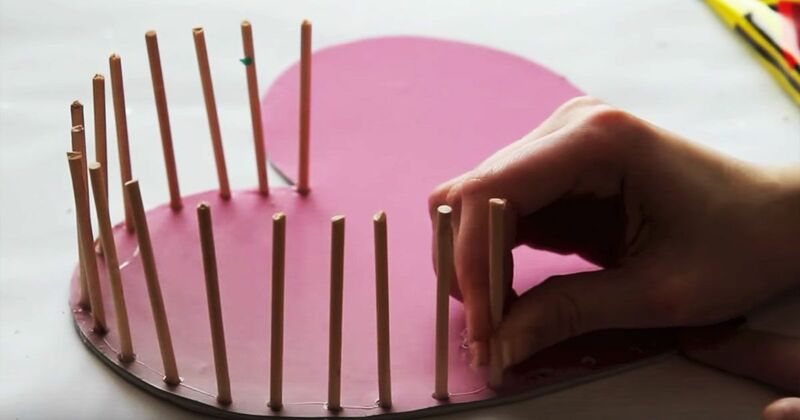 Glue it to sturdy cardboard and cut it out again; this forms the bottom of the heart basket. Mark off evenly spaced dots, far enough apart to wind string through, but close enough together to support a sturdy wall of string. Next, use an awl or punch on the dots to start a small hole for the dowels. When the dowels are inserted, they should stand upright by themselves, but use glue to secure their positioning. Begin working the yarn or string by knotting one end to the dowel in the bottom point of the heart. 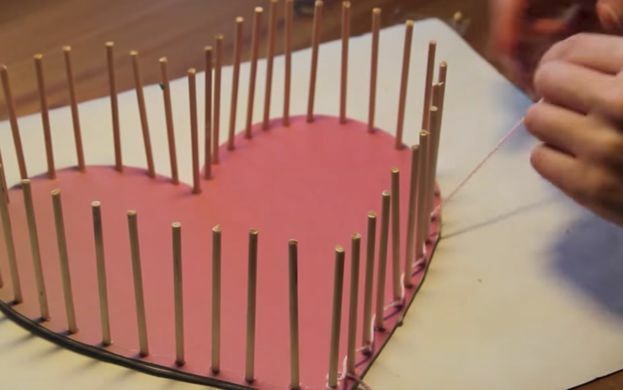 From there, weave it between the other dowels, slaloming your way around the heart. Every time you complete a circuit by reaching the bottom point of the heart, alternate the slalom. For example: if on the first time around you went behind/in front/behind the first three dowels, on the second time around you would go in front/behind/in front of them, and on the third time around you would go behind/in front/behind again. When you've reached a sufficient height, tie off the string. Trim down the tops of the dowels and cap with beads or anything pretty. Glue lace or ribbon for a pretty trim around the edge. Julia completed her lovely project by filling it with photos and pretty bath items. 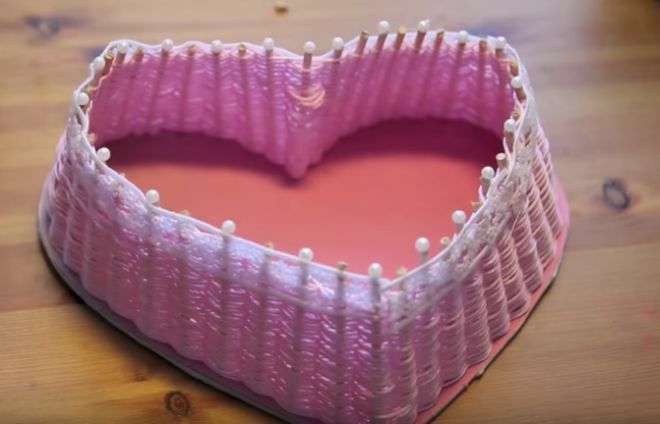 When she wraps it in cellophane and ties it with ribbon, it's a thoughtful combination of handmade and store-bought gifts, perfect for Mother's Day or a birthday! Be sure to share this lovely Mother's Day idea soon!